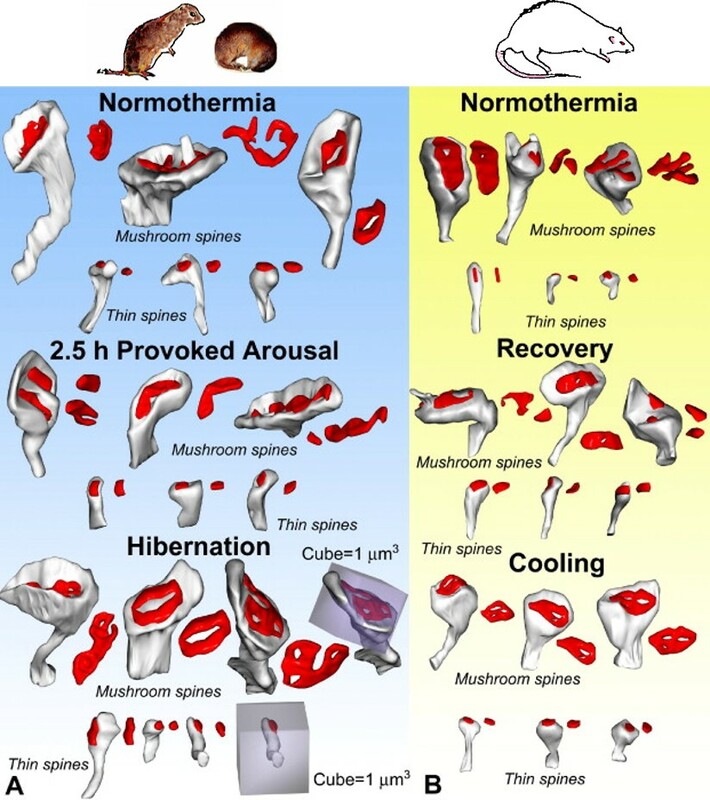 Applying analogy with Djaja’s “resuscitated” animals, the atmosphere of hypoxia and hypercapnia allowed to introduce the stem cells in the hypometabolic state, which, consequently resulted in their long-term survival at temperatures approaching zero enabling their conservation without a classical cryopreservation (freezing). 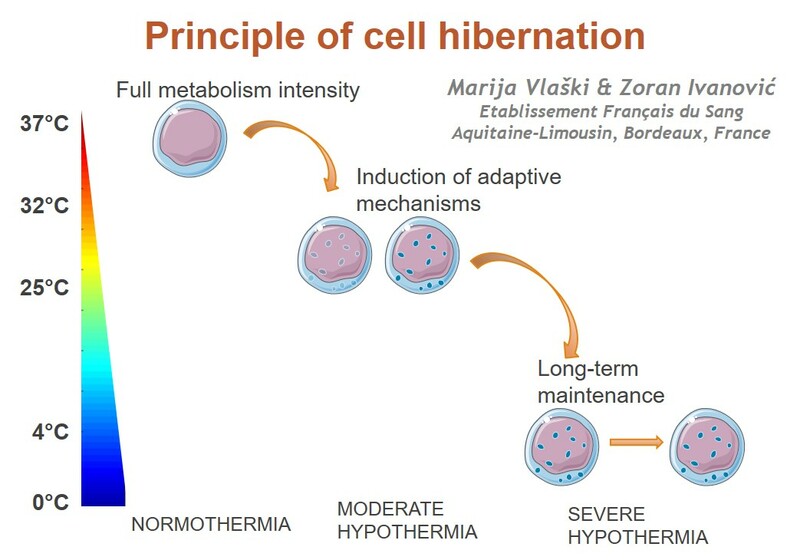 … Similar results were obtained with the cells of different ontogenic and evolutionary origin, suggesting that the mechanism of cell introducing in hibernation-like state is rather universal. hibernating and a non-hibernating animal. Typical representatives of thin and mushroom spines and their PSDs (red) in stratum radiatum of CA1 hippocampal area of (A) ground squirrels, and (B) rats. All 3-D reconstructions are at the same magnification. For comparison of size, a cube with a side of 1 μm is shown in Figure A. Dendritic spines from ground squirrel (A) are considerably larger than in rats (B).